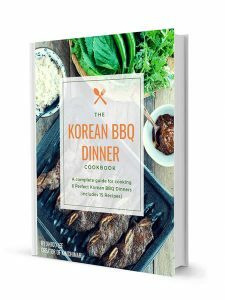 1 Recipe with Kimchi and Pork Belly that makes 3 Classic Korean Dishes: Kimchi Jjigae, Kimchi Fried Rice and Kimchi Tofu!! These can all be made from this 1 awesome recipe that is also a freezer recipe. Right, I know that was a lot to digest. Huh? You can make 3 dishes from 1 recipe?? And you can freeze it too?? 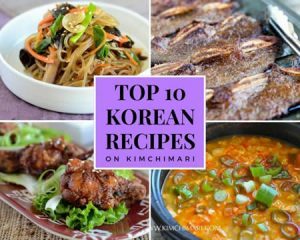 Basically, it means you make this 1 recipe with kimchi and pork, freeze them and then you can make 3 or even more recipes with kimchi using the frozen kimchi and pork mix. It’s also great for singles because you can divide the amount into even smaller portions when you freeze them. How awesome is that?! 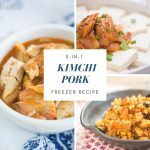 One Kimchi Pork Recipe to rule them all! 💍💍 LOTR joke..HAHAHA…. 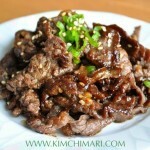 This recipe with kimchi and pork is also so easy to make too. Before I go on, I have to thank my awesome sister #3 for this idea. With her busy work schedule, she is always looking for ways to prep her meals ahead of time so that when needed, she or anyone in her family could cook these dishes in just a few minutes with minimal effort. I don’t always think of these things as much because I am in the kitchen all day anyway. 😝 Kind of goes with this blogging work…But for her, she often has to come home after a long day of work or be away from home for days on travel. So she wanted to make something where it would be easy for anyone in the family to cook whenever they wanted to. She told me that before this, she used to make ahead lot of Korean soups and stews and freeze them so that anyone could just heat it up. Which is also a great tip. I know there’s more but that’s all I can think of right now. Please share if you have a favorite stew or soup that you like to freeze for later. Make these soups in batches and then freeze them in containers. In the morning, put into the fridge section for it to thaw during the day and then when you are ready for dinner, they should be nicely defrosted. Or you can just directly put them in a pot and reheat (start from low heat -> medium heat). 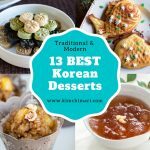 Besides these, you can make Kimchi Rice, Budae Jjigae, Kimchi Pork Soft Tofu Stew and much more. Watch my video at the end of post to see how it is all done! Cut 11 to 12 oz pork belly into small pieces. Until recently, it was almost impossible to find fresh, unseasoned pork belly at the regular grocery store but recently I was so happy to find a packaged Farmer John pork belly at my local store. To reduce fat, trim off some fat but then you will most likely need extra vegetable oil in some of the recipes. So leave all the fat in if possible – it’s just tastier that way. Add 1 Tbs cooking sake or rice wine to pork while cooking. Add 4 cups sour, fully fermented kimchi and cook for few minutes until pork is fully cooked. 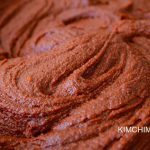 If you are using mak kimchi (kimchi already cut up into pieces), you can just add it without cutting it. If you are using the full, uncut cabbage baechu kimchi (pogi kimchi), cut cabbage into smaller pieces before adding to pork. 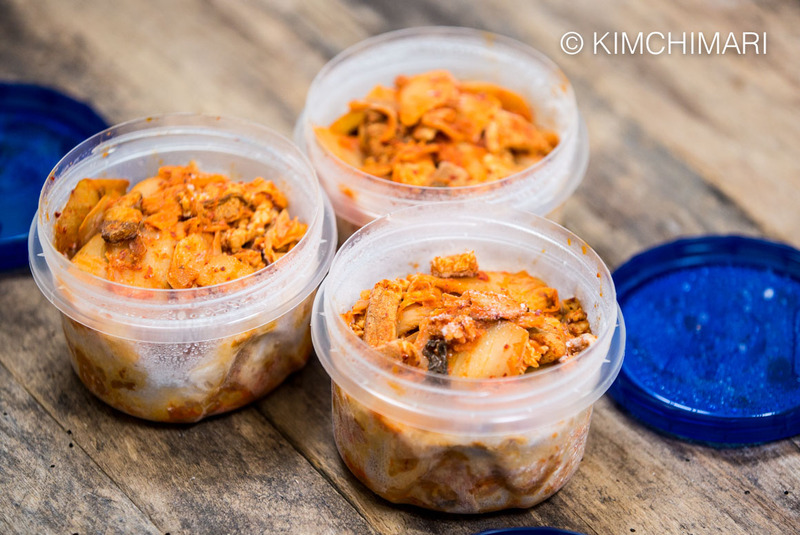 Divide kimchi pork mix into containers and freeze them. I used a 2 cup container here and I got 3 x 2 cup containers from the recipe–which means it made 6 cups. From this you will be able to make 1 Kimchi Jjigae for two, 2 Kimchi fried rice for two and 1 Kimchi Tofu for two. In a pot, add one 2 cup container of frozen Kimchi Pork mix. Then add 3~4 cups water. Add 1~2 tsp gochukaru (red chili powder), 2 tsp Korean soup soy sauce (gukganjang), and 1/4 tsp garlic powder or fresh garlic. Bring to boil and add tofu. Simmer fro 15 min or more and you are done! 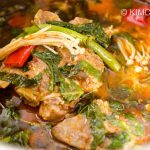 If you want to make your Kimchi stew from fresh kimchi and not use the frozen base, here’s my complete Kimchi Jjigae recipe. Cut one package of 16 oz extra firm tofu into squares. Slice 1/2 large onion. Heat frying pan on medium high heat. Drizzle a little bit of vegetable oil, saute onions for 3-4 minutes until they are translucent. Dump 1 container of frozen or defrosted kimchi pork mix (about 2 cups) to pan. If completely frozen, lower heat until it has melted. Saute kimchi and onions for few minutes on medium to low heat. While it’s cooking, add 2 tsp gochujang, 1 tsp sugar, 1 Tbs mirin, 1 tsp chopped garlic, 1/2 tsp gochukaru (chili powder) and 1/2 tsp gukganjang (Korean soy sauce for soup). Mix everything together and cook another minute or two until everything is well blended. Have a plate ready with the tofu slices arranged either in a circular fashion or just to one side. Transfer the kimchi pork belly to the plate and serve. Slice or chop 1/2 of the frozen kimchi pork mix. This is about 1 cup. Heat a frying pan on medium high heat, drizzle vegetable oil. Add chopped/sliced kimchi+pork to pan. Stir. Add 1 tsp gochujang and 1/2~1 tsp sugar to kimchi and saute it for 2-3 minutes until everything is fully defrosted and well cooked. Lower heat to medium and add 2 cups cooked rice. Mix rice and kimchi together and saute for another 2-3 minutes. Push the rice to the sides of the pan and make room in the center of the pan to cook the egg. Add a small amount of oil in the center then crack an egg. Let the egg cook for several seconds and then break the egg and stir to make scrambled egg. Mix egg with the rice and cook for another 1-2 min. 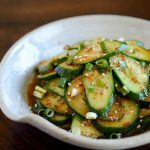 Finish with a swirl of sesame oil. Garnish with some sesame seeds, green onions and dried seaweed (gim or sushi nori). Tear gim into small pieces by hand or cut with scissors. 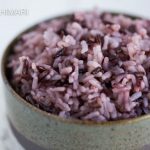 If you like burnt rice, leave the rice in the pan on low heat and let it brown for few more minutes. 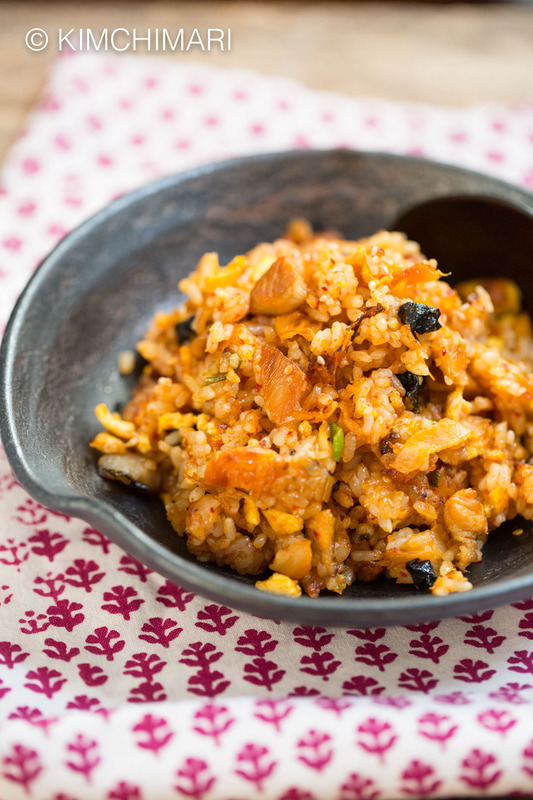 Here’s a complete Kimchi Fried Rice recipe if you want to start from fresh (not frozen) kimchi. 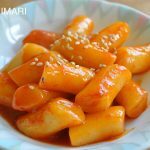 PLEASE TASTE as you go – because Kimchi can be more or less salty, more or less spicy, depending on the recipe, you may not even need to add gukganjang or gochukaru or may need to add more. Adjust to taste. 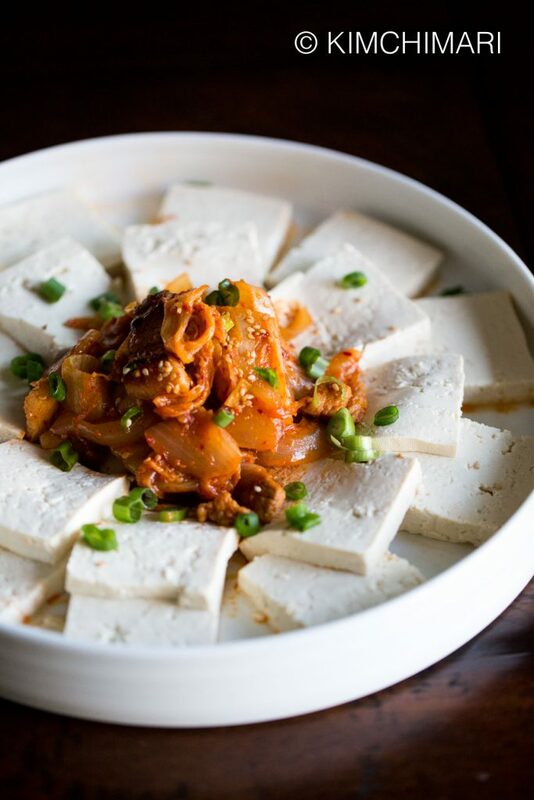 Kimchi Tofu (김치두부) goes wonderfully well with some Makgeolli so try it as Anju (appetizer) to go with it. 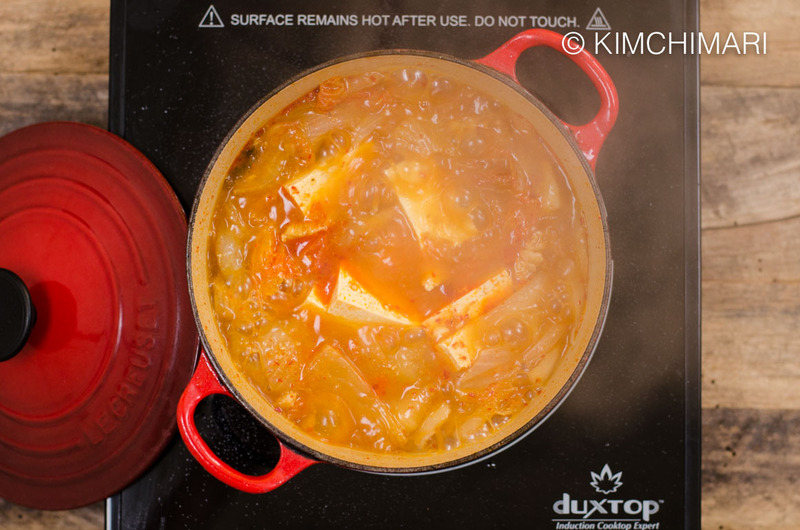 Kimchi Jjigae will taste even better the next day so reheat and enjoy! Try hot Kimchi Jjigae with cool room temp rice. The temperature difference makes Kimchi Jjigae extra delicious. Kimchi Fried Rice can be enjoyed with a whole sunny side egg on top instead or in addition to scrambled egg. 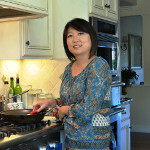 How to make 3 Recipes with Kimchi using my 1 Kimchi Pork Freezer Recipe video! That was a lot of work — hope it’s helpful for days when you are just too busy or too tired to cook! Would love to hear how you like it. 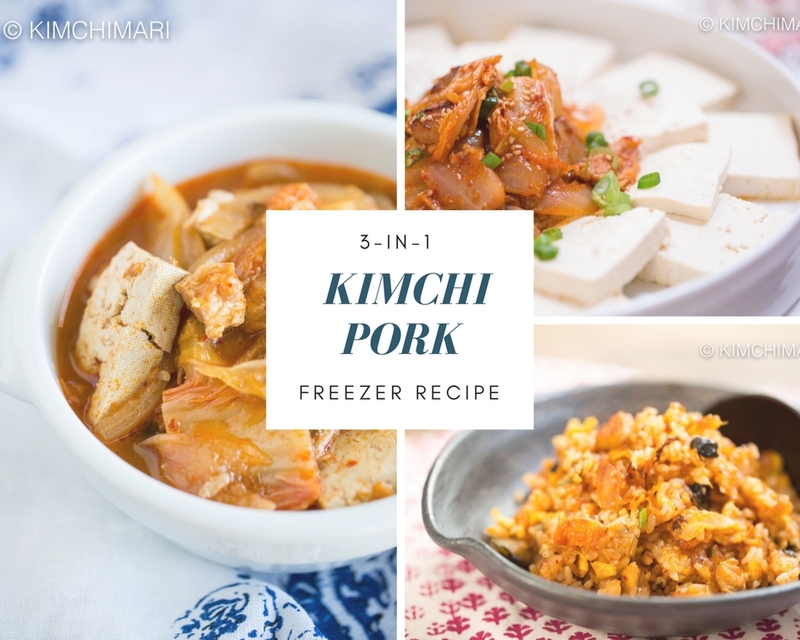 3-in-1 Recipe with Kimchi and Pork Belly that you can also freeze for later. 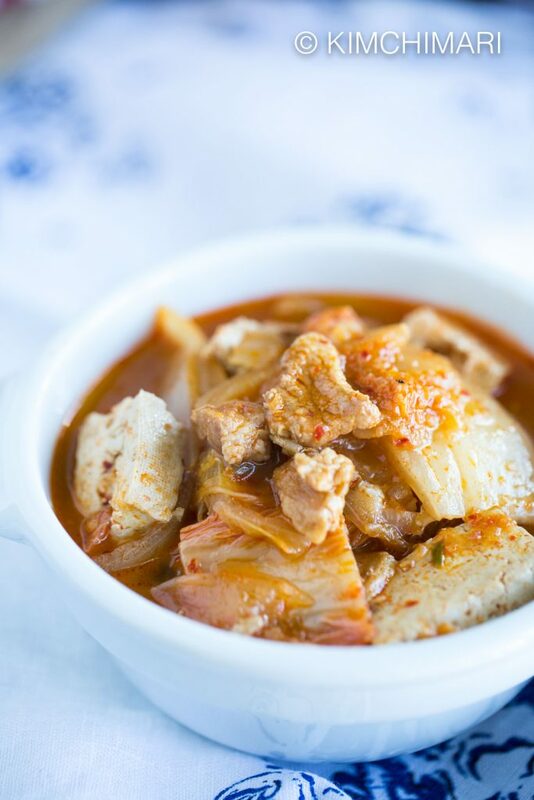 With this Kimchi Pork Recipe, you can make 3 classic Korean dishes: Kimchi Jjigae, Kimchi Fried Rice and Kimchi Tofu. All in less than 25 minutes! Cut pork belly into small pieces. Heat pan on medium high heat and add oil and cook pork belly until slightly done. Add cooking sake or rice wine to pork while cooking. Add fresh (but sour) kimchi and cook for few minutes until pork is fully cooked.If you are using the full baechu kimchi (pogi kimchi), then you will need to cut them into smaller sizes. 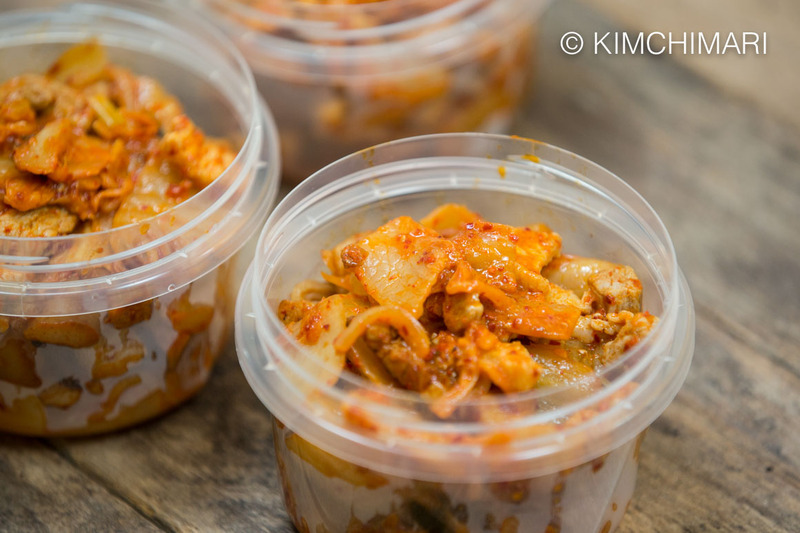 Divide kimchi pork mix into containers and freeze them. In a pot, add frozen Kimchi Pork mix. Add water. Add gochukaru (red chili powder), Korean soup soy sauce (gukganjang), and garlic powder or fresh garlic. Cook rice to make 2 cups. Cold left over rice from fridge works even better. Add 1 tsp gochujang and 1 tsp sugar to kimchi and saute it for 2-3 minutes until everything is fully defrosted and well cooked. Lower heat to medium and add rice. Mix rice and kimchi together and saute for another 2-3 minutes. Cut extra firm tofu into squares. Slice onion. Add frozen or defrosted kimchi pork mix to pan. If completely frozen, lower heat until kimchi mix is melted. 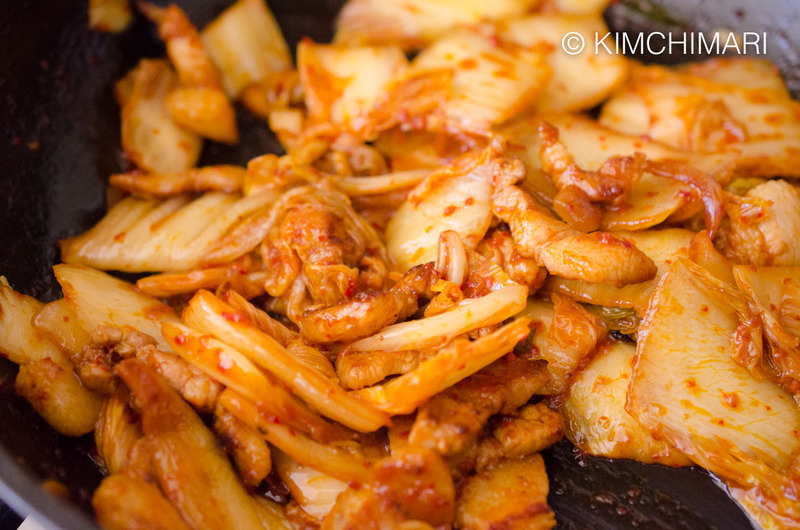 Raise heat to medium and saute kimchi and onions for few minutes. While it’s cooking, add gochujang, sugar, cooking sake, chopped garlic, gochukaru (chili powder) and gukganjang (Korean soy sauce for soup). Mix everything together and cook another minute or two until everything is well blended. On a plate, arrange tofu slices in a circular fashion or just to one side. Transfer hot kimchi pork belly mix on to plate and serve. PLEASE TASTE as you go - because Kimchi can be more or less salty, more or less spicy, depending on the recipe, you may not even need to add gukganjang or gochukaru or may need to add more. Adjust to taste. Kimchi Fried Rice can be enjoyed with a whole sunny side egg on top instead of scrambled like I do. The cooking time is different for each dish. The time to cook the Kimchi Pork mix base is around 15 min. 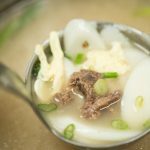 « Pyeongchang Local Cuisine to Celebrate the Olympics! This looks delicious and soooo tasty! Can’t wait to try this!